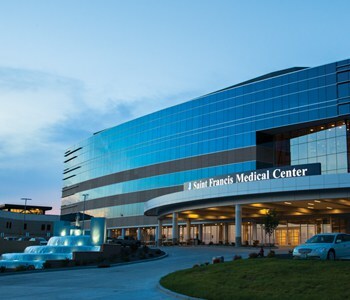 After almost five years of designing, praying and building, Saint Francis Healthcare System has completed Building on Excellence. The final phases were finished when Cape Care for Women and Cape Maternal & Fetal Medicine opened new locations at the Women and Children’s Pavilion in September. And, Weight Loss Solutions moved into its new headquarters in October. In its new location, Cape Care for Women provides women access to all the services they need in one location. As they receive prenatal care, pregnant women will become accustomed to arriving at the Medical Center through Entrance 5 — which is where they will go for labor and delivery at the Family BirthPlace. 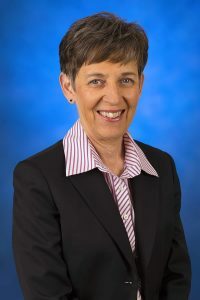 “Our physicians are now much closer to the Family BirthPlace, so they can travel between their office practice and laboring patients quickly,” says Marilyn K. Curtis, MT (ASCP), MSA, Vice President, Building on Excellence, Saint Francis Healthcare System. Weight Loss Solutions has its own, dedicated space with four examination rooms and classroom space for education and support groups, designed by the program’s team. The Building on Excellence project includes a new main entrance, a five-story Tower with 122 private patient rooms, expanded pain and wound clinics, gift shop and My Daddy’s Cheesecake; renovated and expanded area for Inpatient Rehabilitation Services; and the creation of a Women & Children’s Pavilion which includes an expanded Family BirthPlace and Level III Neonatal Intensive Care Unit (NICU).